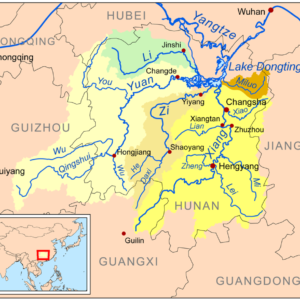 Xiaoxiang (瀟湘) refers to the region in south-central China south of the middle-reaches of the Yangtze River and corresponding, more or less, with Hunan province. Xiaoxiang is less a precise geographic entity than a concept. It is used in the genre of Xiaoxiang poetry of Classical Chinese poetry and in literature for symbolic purposes, in part because this was a significant area, which at least through the Song dynasty was still considered a wild place full of malaria, barbarians, and wild beasts. For much of early Chinese history, this area belonged not to China, but to the independent state of Chu. Beginning at least with Qu Yuan, in the third century BC, this region came to symbolically represent the unjust exile of a talented minister or government official by an unappreciative king or emperor. The name Xiaoxiang comes in part from the name of the Xiang River, which rises in the mountains of Guangxi and flows into the Dongting Lake. 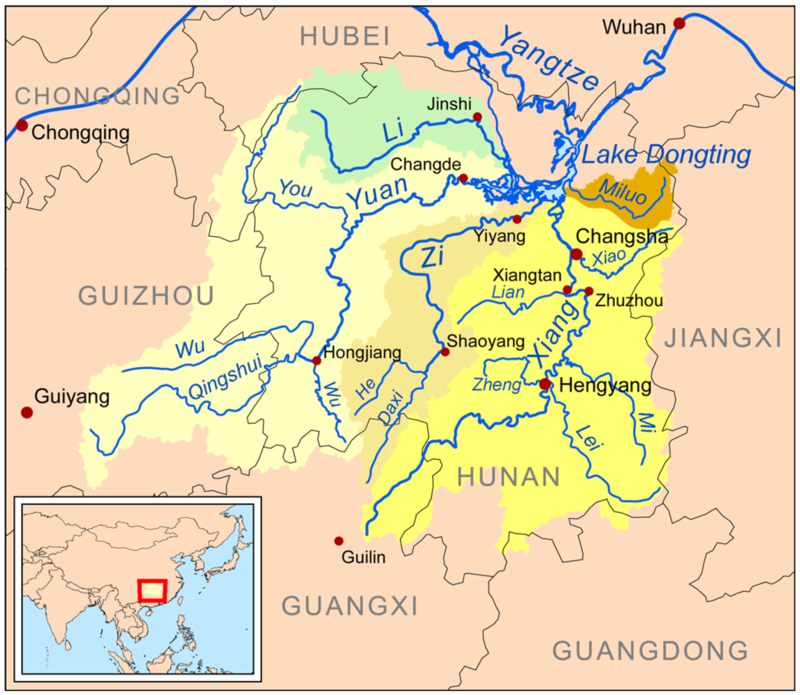 There is also the Xiao River, which is a tributary of the Xiang River, and joins it near present-day cities of Yongzhou and Changsha; however, the name Xiaoxiang predates the bestowing of that name on the Xiao River: originally the adjective xiao, meaning “clear and deep”, was used to describe the Xiang River. The Xiaoxiang region is the somewhat imaginative location of the various eponymous and highly symbolic Eight Views of Xiaoxiang series of eight paintings and/or poetry verses.